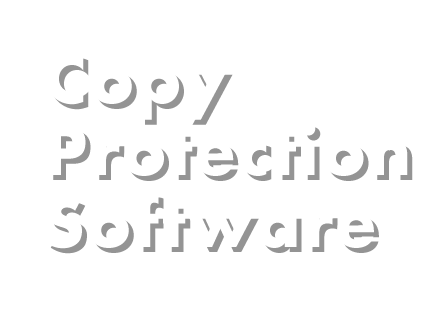 The definition of Copy Protection Software is too often used inapporpriately, especially in the case of file protection applications. The term "copy protection" means prevention of copy as in the case of an image that is displayed in a viewer and the user is prevented from making a copy of that display. In an instance where protection from making a copy of file is sought, then you are really taking about the prevention of file duplication or write prevention in the case of copying a file to a removable disk. If this definition is still not clear because you think that by sending a file that you are sending a copy, let's look at it another way. You might have software that encrypts files and protects them by requiring a password or other special condition before displaying its contents. When that file is open, are you prevented from printing or taking a screen shot of its contents? If the answer is "no" then that application is NOT for copy protection at all. So why then do so many software vendors claim that their products are for copy protection? The answer in most cases will be because they are intentionally falsely advertising a weak product that would otherwise be of no interest. Most are merely clones and the developers so lame that even their documentation and keywords are borrowed from their role models. If you use Google for a web search on "copy protection" you will see in the right hand column to a list of Adwords scammers who pay for keywords that are not applicable to their product at all. For example WatchDox is incapable of copy protecting anything, NewSoftwares apps only lock files and LockLizard's claim to provide software for secure mail is a blatant lie. The rest might be capable of providing password, print and expiry protection, but as already mentioned these features do not copy protect a file's contents when open and they should be re-classified as being for file protection. Only then will the people looking for copy protection be able to find apps that do just that, and only then will those that do provide real copy protection software be able to trade clear of the pollution created by scam artists. 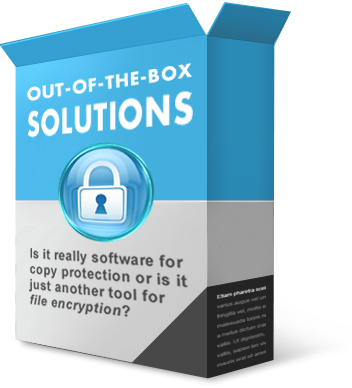 If you are looking for file protection software then you won't have any trouble finding hundreds of applications, most of which will be based on elementary encryption resources that are free Windows resources. These apps are commonly promoted as using strong encryption and it's not uncommon to see the same application rebranded and offered from lots of different domains using different company names. So what sort of software do you really need? Copy protection software for Pictures? Copy protection software for Documents? Copy protection software for Videos? Copy protection software for Web Pages? Copyright © 2018 Addmine. All Rights Reserved.